Editors note: The Bexar County Sheriff's Office initially gave the child's age as 7 years old. He is actually 6, officials said. A 6-year-old boy was fatally shot when Bexar County sheriff's deputies opened fire on a woman at a Schertz mobile home park after a lengthy manhunt Thursday. The woman — a wanted felon and a suspect in a car theft — also was killed by the gunfire at the Pecan Grove Manufactured Home Community, located off FM 78 on the banks of Cibolo Creek. It's a rollercoaster of emotions for Kameron Prescott's family. The 6-year-old was caught in the gunfire at Pecan Grove mobile home park on Thursday when Bexar County sheriff’s deputies fired upon a suspect that they thought was armed. She had been trying to break into a mobile home while the child was inside when deputies caught up to her on the front porch. Kameron’s uncle, Christopher Gonzales, says that he's angry and saddened by the sudden loss of his nephew. "It is shocking really," he said. "It hasn't even hit us to the full extent yet." Gonzales, along with other family members, had to painfully say goodbye to the little boy who was always smiling. "We all put our hands on him and prayed on him, stuff like that," the uncle said. "We are that kind of family." Gonzalez said that Kameron wouldn't normally be at the home in Pecan Grove but was visiting his dad for the Christmas break. "He was saying to his grandpa that he didn't want to be there," he said. "All day, he was saying he didn't have a good feeling. He was telling his dad he wanted to call his mom and didn't want to be there. He just kind of knew it wasn't going to be a good day." The uncle said that he just wants answers from the Bexar County Sheriff’s Office. "If it is the police, we hope that you hold your people accountable," he said. "I am sorry that it comes to this, but y'all are people just like us at the end of the day. Y'all deserve to be held accountable. It is a Constitutional right. Y'all just killed a little boy, if it was y'all. There's no weapon, so it wasn't that lady." Gonzalez said that the main thing he wants to know is if there was a gun or a weapon. He said, in his eyes, it doesn't add up that deputies had to use gunfire. He said that he will continue sharing Kameron's story until justice is served. 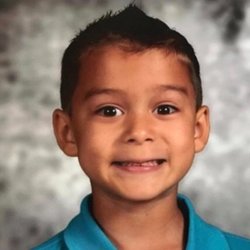 Four Bexar County deputies connected to the shooting death of 6-year-old Kameron Prescott were issued preliminary clearance letters by Bexar County District Attorney Nico LaHood, the Sheriff's Office announced Friday night, June 22, 2018. On March 12, 2019, a Bexar County grand jury issued a no-bill of indictment Tuesday for the deputies that opened fire Dec. 21, 2017, killing Amanda Lee Jones, 30, and Kameron Prescott, 6, an innocent bystander.